Do you coach goalkeepers and want to help them realise their fullest potential? Are you a goalkeeper looking to reach the top of your game? Then search no further and dive into this dedicated goalkeeping resource. Goalkeeping is a unique and often undervalued role within a football team. It can be a lonely position with exclusive physical, psychological and tactical demands placed upon the person donning the gloves. The man between the sticks must be able to perform a multitude of tasks to prevent goals going in, but also operate so the ‘last line of defence’ becomes the first line of attack. Written by goalkeeping guru Andy Elleray this book offers a fresh and innovative approach to goalkeeping in football. With a particular emphasis on the development of young goalkeepers, it sheds light on training, player development, match performances, and player analysis. Utilising his own experiences Andy shows the reader various approaches, systems and exercises that will enable goalkeepers to train effectively and appropriately to bring out the very best in them. Practice and theory are merged together to create a highly practical book with its roots in the latest research and thinking. This book is aimed primarily at coaches and performance analysts who train young goalkeepers between the ages of 9 and 18. However, players of all ages will benefit from the information and advice contained within, and anyone with an interest in goalkeeping, the science behind player development, and innovative coaching will find valuable knowledge and direction in the book. Coach, when should I be a goalkeeper…? Get To The Next One! Andy Elleray is a self-confessed goalkeeping fanatic having worked at all levels of football – within coaching and performance analysis. He holds an honours degree in Sports Science and a Master’s degree in Sports Coaching, he is a UEFA qualified coach and holds the highest accreditation as a performance analyst through ISPAS (The International Society of Performance Analysis of Sport). Andy has worked at a variety of different professional clubs and within some highly esteemed academies. Assisting top level coaches and creating numerous goalkeeper coaching support and coaching systems, he also conducts goalkeeping research and has previously spoken at high profile goalkeeping conferences and the World Analysis Congress where his research, ideas and approach have been well received. His passion is simply to open up the position of the goalkeeper within the team dynamic and create different ways in which performance can be enhanced and monitored. 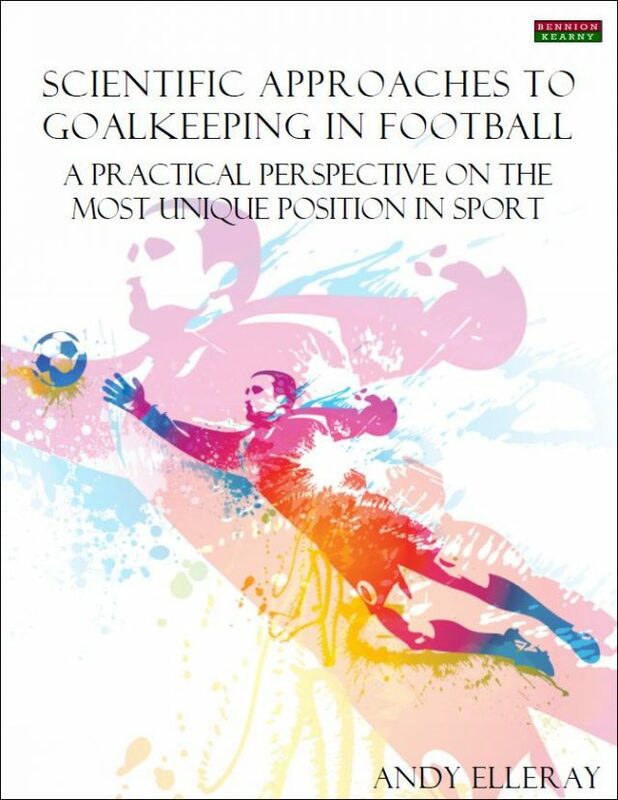 Scientific Approaches to Goalkeeping in Football is destined to become one of the most talked about goalkeeping books to date – offering a unique perspective of the position. Book Categories: Andy Elleray, Goalkeeping, Soccer and Soccer Coaching Books.